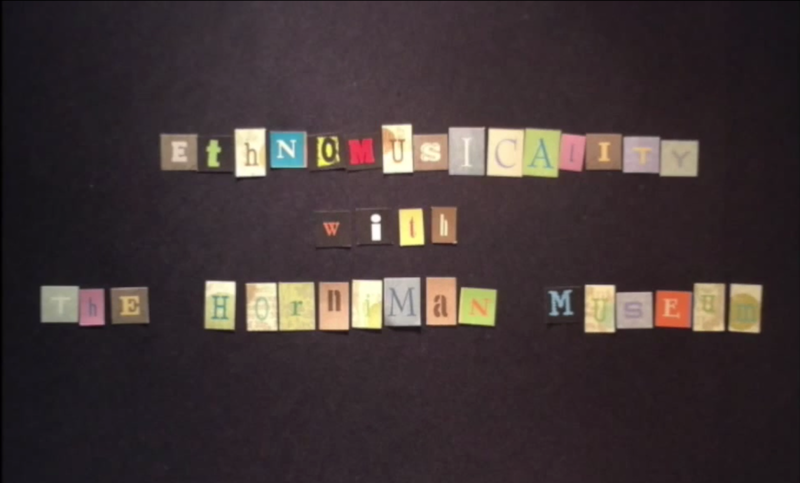 Ethnomusicality is an animation piece by the artists of Arts Network. The Enthomisicality project was born in the hands-on base at The Horniman Museum & Gardens in Forest Hill, December 2013. The Horniman provided exclusive access to their collection of world instruments and theatrical props to inspire the artists. The group explored the theatrical practices of Chinese shadow puppetry and Punch and Judy. A selection of instruments were provided for a jam session where we learnt about the origins of the instruments and the very unique sounds they make. Individuals recorded the the sounds of their instruments and interpreted them through animation. Hope you enjoy our film! In partnership The Horniman Museum and Gardens and organised and funded by Drake Music Connect & Collaborate London through The Arts Council. Workshops were facilitated by arts ambassador Phil Baird and associate member Carlo Keshishian. To Drake Music and The Horniman Museum & Gardens.